Authors Note: This is a curated piece, I may not agree that it is inspiring for teachers to be video taped and critiqued at any point of the year among other videos. The communication explosion reaches its peak when you explore the endless avenues running through TED Talks. Moreover, the title educator embodies many forms within these talks. So it’s precisely for this reason that any educator benefits from so many of these talks. Each speaker reveals his or her passion of a view or a subject with the enthusiasm of a first-year teacher. 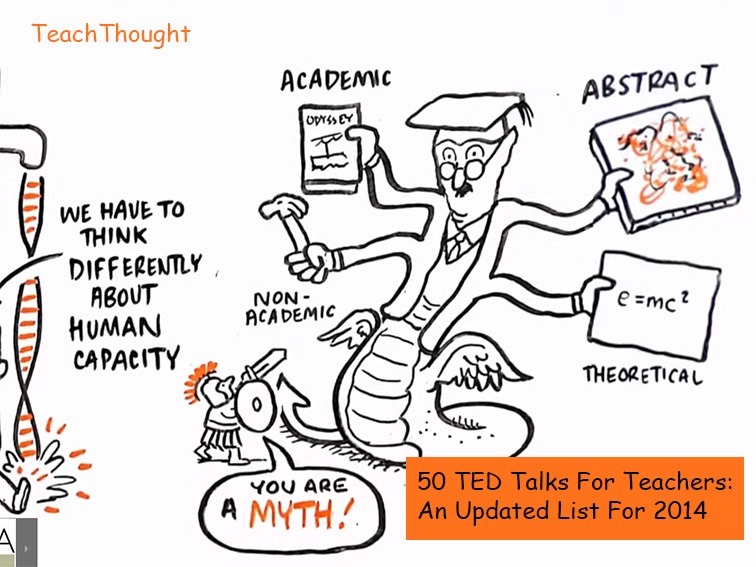 Using TED Talks to convey an important message or spark creativity might be more effective in teaching students than an individual agenda or preconceived notion of what should be said. 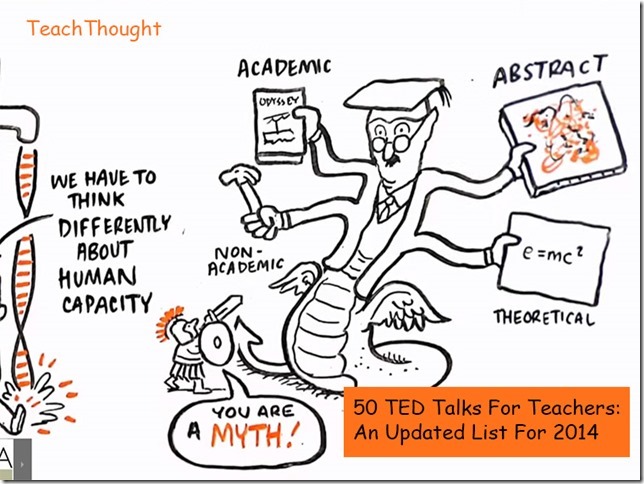 Furthermore, TED Talks challenges educators everywhere to think differently and encourage the same in their students. These are the best TED Talks for any educator because they make us laugh, warm our hearts, break down barriers, and always inspire us to dig a little deeper and push a little harder, challenging your educator perspective. One student described this Stanford University class on Artificial Intelligence as “sitting in a bar with a really smart friend who’s explaining something you haven’t grasped but are about to.” In the video, Peter Norvig pinpoints what it takes to create online learning at its best, how it should work and how it should feel. Sugata Mitra won the 2013 TED Prize for his idea: Build a school in the cloud. After quite literally putting a computer in a wall in impoverished areas of India, he proved that children, people, are capable of learning without an agenda or even a teacher. Given the proper tools people will group together and teach themselves. They only need encouragement and positive reinforcement as a teaching mechanism. In this Ted Talk, Bill Gates: Teachers need real feedback, Gates talks about the need for teachers to receive valuable feedback so that they can improve and strengthen their skills and become better teachers. He brings the teaching field to technology and cameras, using video to share and promote better and more effective teaching. 5. Bring On the Learning Revolution! Designer Emily Pilloton moved to rural Bertie County, in North Carolina, to engage in a bold experiment of design-led community transformation. In this video, she talks about teaching a design-build class called Studio H that engages high schoolers’ minds and bodies while bringing smart design and new opportunities to the poorest county in the state. Daphne Koller is enticing top universities to put their most intriguing courses online for free — not just as a service, but as a way to research how people learn. With Coursera (cofounded by Andrew Ng), each keystroke, quiz, peer-to-peer discussion and self-graded assignment builds an unprecedented pool of data on how knowledge is processed. Watch the video here. Ever heard the phrase “Those who can’t do, teach”? At the Bowery Poetry Club, slam poet Taylor Mali begs to differ, and delivers a powerful, 3-minute response on behalf of educators everywhere. Diana Laufenberg, an 11th grade history teacher in Philadelphia, shares 3 surprising things she has learned about teaching — including a key insight about learning from mistakes. 11. Don’t Eat the Marshmallow! In this short talk from TED U, Joachim de Posada shares a landmark experiment on delayed gratification — and how it can predict future success. With a priceless video of kids trying their hardest not to eat the marshmallow. From rockets to stock markets, many of humanity’s most thrilling creations are powered by math. So why do kids lose interest in it? Conrad Wolfram says the part of math we teach — calculation by hand — isn’t just tedious, it’s mostly irrelevant to real mathematics and the real world. In this talk, he presents his radical idea: teaching kids math through computer programming. Mae Jemison is an astronaut, a doctor, an art collector, a dancer. Telling stories from her own education and from her time in space, she calls on educators to teach both the arts and sciences, both intuition and logic, as one — to create bold thinkers. 16. Teach Statistics Before Calculus! After leaving his Microsoft job in Washington, Awuah returned to his home in Ghana and has helped to open a liberal arts college there. This polished speaker shares his experience in Africa and uses this experience to plead his case for the importance of incorporating a liberal arts education in order to create true leaders. A professor at Rice University in Houston, Texas and the founder of Connexions, an open-source education system, Richard Baraniuk talks about the benefits of open source for educators. Specifically, Baraniuk speaks about the drawbacks of texts books and how using online open-source information provides more current and relevant material. Students pursuing an online bachelor’s degree in Education may have a particular interest in this resource. Filmmaker David Hoffman shares a part of his documentary, Sputnik Mania. Through this movie, Hoffman explains how it contributed to the space and arms race that, in turn, lead to an inspirational movement of math and science education across the US. While accepting his TED prize, physicist Neil Turok shares his wish to provide opportunity for the future of Africa through opening and nurturing the creativity available in the young people there. Turok uses his math and science background to understand why and how Africa has been left behind–and how we can change it. Bill Joy muses on what’s next. Looking to the future, this co-founder of Sun Microsystems discusses how society and individuals have reacted to situations in the past. He then explores the path we can take to ensure positive growth in the areas of health, education, and technology. This member of parliament in Kenya discusses education, both his own and the importance of education to children in Africa. He has a vision for making this education possible and shares it passionately. Jose Abreu on kids transformed by music. The founder of a Venezuelan youth orchestra, El Sistema, Abreu speaks about his wish to spread music throughout Venezuela and the world as a tool of social change and empowerment. Abreu speaks in Spanish (with English subtitles) with such passion about his vision for the future of the world. Gustavo Dudamel leads El Sistema’s top youth orchestra. Watch this video of Dudamel and his students as they perform Shostakovich’s Symphony No. 10, 2nd movement and Arturo Marquez’s Danzon No. 2. The power of this performance is a testament to why El Sistema works. Surrounded in a culture of educators, Eggers grew up realizing the importance of education. He talks about his tutoring center, 826 Valencia, and how it has helped and inspired others to become involved in education. The power of this tutoring center is inspirational to those concerned with education. Tim Brown explores the relationship between creative thinking and play, and how this relationship can be nurtured. Using activities presented in the talk, he illustrates his points that are useful for all who work with children as well as those who want to nurture creativity in adults. Strange landscapes, scorching heat and (sometimes) mad crocodiles await scientists seeking clues to evolution’s genius. Paleontologist Paul Sereno talks about his surprising encounters with prehistory — and a new way to help students join the adventure. Jonathan Drori, expert on culture and educational media, offers four questions to the listeners as a starting point to explore how we get ideas in our heads and how difficult it is to shake ideas once they are there. Drori also reviews some “bad practices” that serve to reinforce wrong ideas and some better ways of helping students learn correctly. Alan Kay shares a powerful idea about ideas. Kay talks about techniques for educating children by using computers to illustrate experiences. By looking at simplicity and complexity, traditional teaching modes that rely on complex adult ideas, and approachable methods of teaching students in ways that are more simple and intuitive. Stuart Brown says play is more than fun. Brown describes why play is important and how it contributes to happy and healthy adults–not just children. Using examples from the natural world, Brown shows how play is an integral part of life and how it can change behaviors. The founder of the MIT Media Lab in Massachusetts discusses his program, called “One Laptop Per Child.” This project hopes to build $100 pedal-powered laptops and distribute them to children in developing countries around the world in an effort to promote education. Coming from the perspective of children being the most important natural resource of any country, Negroponte’s project hopes to provide students with opportunities for their future and the future of their countries. Brewster Kahle is building a truly huge digital library — every book ever published, every movie ever released, all the strata of web history … It’s all free to the public — unless someone else gets to it first. Watch his video here. In this prescient 2005 talk, Clay Shirky shows how closed groups and companies will give way to looser networks where small contributors have big roles and fluid cooperation replaces rigid planning. His concepts can be applied to education as well. Liz Coleman is the president of education and learning reform at Bennington. She is the advocate for educational reforms. In this speech she says that the interaction between the two organizations in areas of education should be reflected as an opposing factor in modernism and it reduces the study fields into the non moving specialized place. She has emphasized on the point that why diversity is required for solving the big problems. Gabe Zichermann explains how games make kids smart. His speech readily opposes the idea that games and video playing gadgets are a total waste of time for kids. 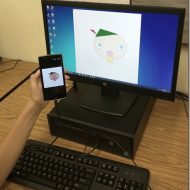 He says that games are the most innovative, creative, and intellectual tools that are working to bring improvement in almost every aspect of performance in cognitive areas. Educating the poor is more than just a numbers game, says Shukla Bose. She tells the story of her groundbreaking Parikrma Humanity Foundation, which brings hope to India’s slums by looking past the daunting statistics and focusing on treating each child as an individual. Sir Ken Robinson offers three principles crucial for the human mind to flourish — and how current education culture works against them. In a funny, stirring talk he tells us how to get out of the educational “death valley” we now face, and how to nurture our youngest generations with a climate of possibility. Sir Ken Robinson makes an entertaining and profoundly moving case for creating an education system that nurtures (rather than undermines) creativity. Watch the classic video here. Gever Tulley uses engaging photos and footage to clarify the valuable lessons kids learn at his Tinkering School. When given tools, materials and guidance, these young imaginations run wild and creative problem-solving takes over to build unique boats, bridges and even a roller coaster! Today’s math curriculum is teaching students to expect — and excel at — paint-by-numbers classwork, robbing kids of a skill more important than solving problems: formulating them. In his talk, Dan Meyer shows classroom-tested math exercises that prompt students to stop and think. Although it may be inappropriate to brashly generalize, education statistics point to one thing for males ages 3-13: their culture isn’t exactly school appropriate. Their general sense of violence, emotional disconnect, and hyperactivity tends to make them more inclined to drop out. The items males generally embrace do not make them great learners. However, there is hope. Alison Carr-Chellman illustrateshow gaming, one of the most notorious aspects of male culture, could help reel them back in. Why is it that we only hire tutors to train kids at what they’re bad at? Why is it that the idea of being an entrepreneur is so vilified? Cameron Herold explains that we need to stop essentially punishing the children with these proclivities in business. Instead, we need to foster their development. Although specific in its focus, the core message can be translated ubiquitously. Let’s teach our kids what they’re good at, not teach them to be adequate in something they previously weren’t. The incredibly eccentric Clifford Stoll reviews what it means to be drawn to learning as well as tangents about the Moog synthesizer and no-volume bottles. He claims that the only ones who can truly predict the future are kindergarten teachers; they’re the only ones with exposure to the next generation.